Can Telemedicine Help People with Disabilities Become More Independent? December 3rd is the International Day of Persons with Disabilities. This annual campaign promotes the rights and well-being of people with disabilities. More than 1 billion of the global population have a disability. Disability is an umbrella term that refers to impairments, activity limitations, and participation restrictions. A severe disability may limit three or more functional capacities such as mobility, communication, self-care, self-direction, interpersonal skills, work tolerance, or work skills. The Americans with Disabilities Act (ADA) of 1990 has improved the lives of disabled people, including improved access to buildings, transportation, and employment. However, equal access to healthcare remains a challenge for disabled people, mainly because people with severe functional disabilities use healthcare services more frequently than other groups. Currently, the annual healthcare cost for people with disabilities is approximately $400 billion. People with disabilities need innovative and cost effective ways to manage their health. Telemedicine based care offers people with disabilities easy access to treatment from the comfort of their home. Another area where telemedicine adds value is rehabilitation therapy. 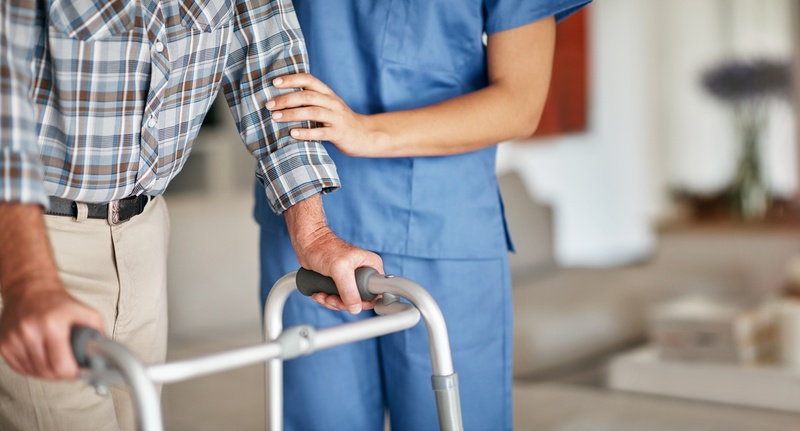 Rehabilitation therapy typically involves a multidisciplinary approach, involving psychiatrists, physical therapists, occupational therapists, speech-language pathologists, social workers and rehabilitation psychologists. Telemedicine can help facilitate collaborative work between multiple providers to improve health outcomes for people with disabilities. It is important for healthcare providers to cater to the needs of people with disabilities in their practice. The American Psychological Association suggests keeping in mind the following principals when treating disabled patients with a telemedicine platform. People with disabilities often have unique healthcare needs and may require a team of providers to ensure they receive optimal care. Telemedicine based programs can help to improve the quality of care for people with disabilities. Offering virtual care services, can be highly beneficial for your patients with disabilities. Create your HealthTap Virtual Practice today to expand the scope of your practice. Click the button below to start your application. Can Telemedicine Help Combat the Opioid Crisis? Is Telemedicine Practical for Diabetes Management? Can Teledermatology reduce the burden of Skin Disease? Simitha Singh Rambiritch is a Dentist from South Africa with a Masters in Science in Oral Medicine and Periodontology from the University of the Witwatersrand (Wits). She was a clinician in the South African public and private sector and an oral medicine and periodontology lecturer for dental and oral hygiene students at the Wits School of Oral Health Sciences for almost 8 years. She also authored several publications in the South African Dental Journal. Simitha was the 2013 recipient of the Margot Lachmann Fellowship, for excellence in cancer research, with a focus on early diagnostic biomarkers in premalignant and autoimmune conditions and their conversion rate to oral cancer. She was invited to present her findings at the 9th International Congress on Autoimmunity in Nice, France.